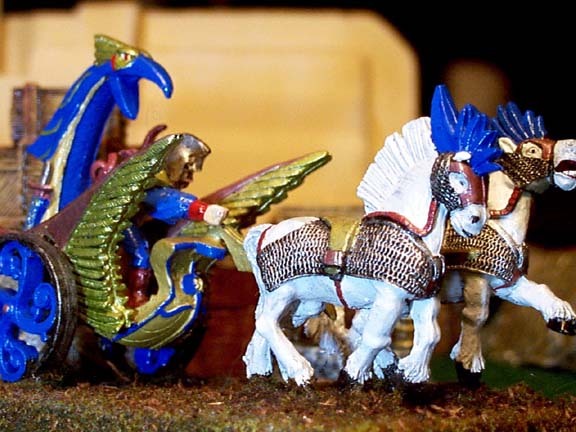 Here are some images of figures I have painted. I don't mind anyone making use of the pictures so long as you mention where they came from. Clicking on the thumbnail to the left brings up a larger version of the image. Right clicking on that (for those new to the web) will allow you to save the image to your own systems hard drive. I list the source for the original images (i.e., who made the figure). All the names are copyright the appropriate company (I'm sure). Space limits the number of images I can put here so as you can guess, these are the pictures I like the best. Global Games has gone out of business (a great shame, they made some great figure lines). I will re–add the link when I find out who (if anyone) has picked up their figure lines. All images are in jpg format. 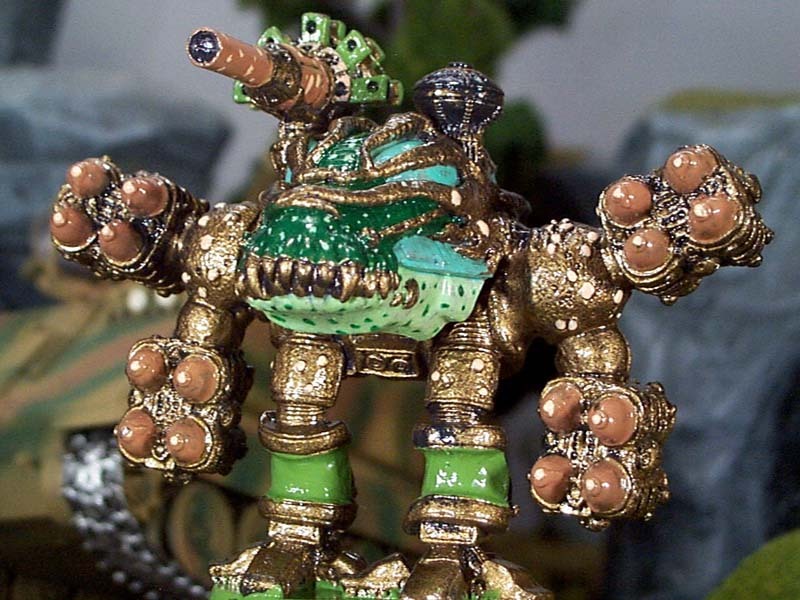 This figure is done by Global Games and is part of their Legions of Steel line. The company produces (make that produced) great figures. The thumbnail is 8k and is 80 pixels high by 107 pixels wide. The full image is 98 k and is 600 pixels high by 800 pixels wide. This is one my my favourite images. 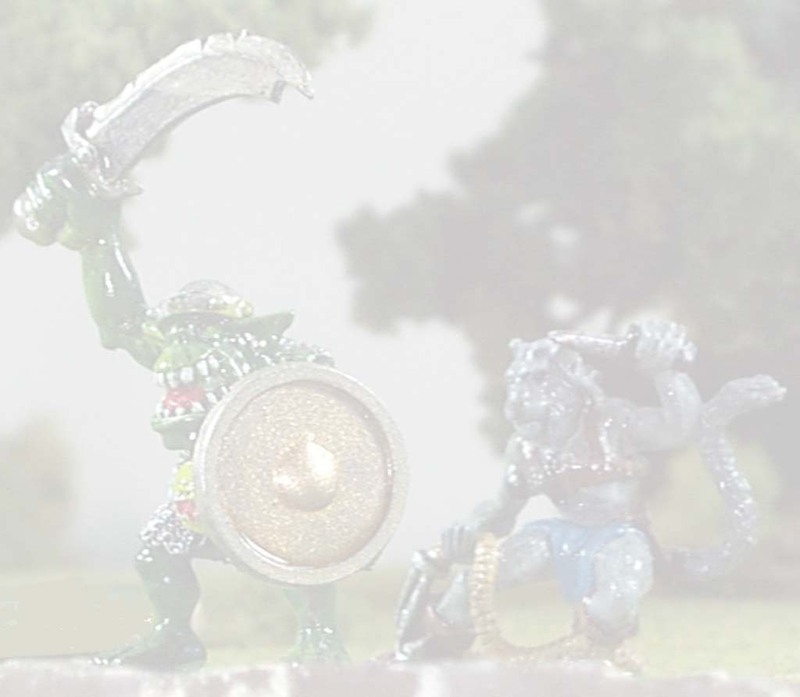 This image is of a Ral Partha figure. The thumbnail is 9k and is 80 pixels high by 107 pixels wide. The full image is 58 k and is 432 pixels high by 576 pixels wide. 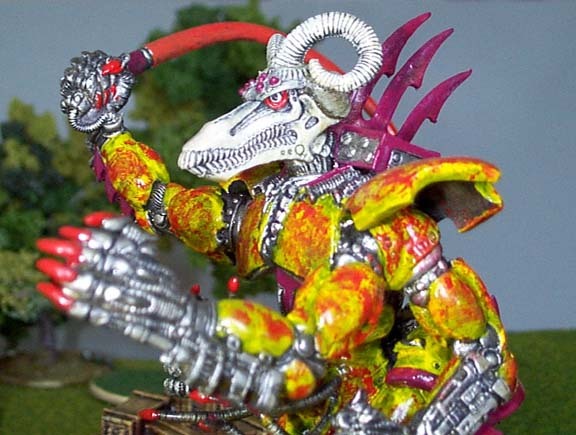 This image is of an old Games Workshop Chaos Terminator. 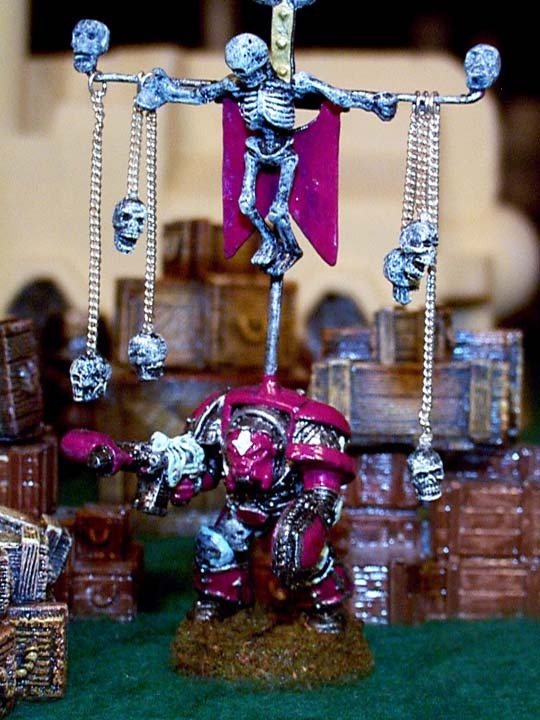 The skeleton and banner are my own hack job from a boxed set of skeletons Games Workshop used to sell (they still sell the skeletons, you just get a lot fewer of them now). The thumbnail is 9k and is 107 pixels high by 80 pixels wide. The full image is 80 k and is 720 pixels high by 540 pixels wide. 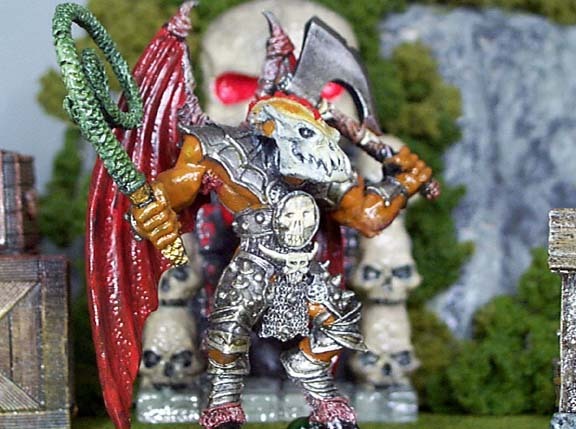 This figure is another that was done by Global Games and is also part of their Legions of Steel line. The thumbnail is 9k and is 80 pixels high by 116 pixels wide. The full image is 45 k and is 398 pixels high by 576 pixels wide. Another figure that was produced by Global Games for their Legions of Steel line. The detail on much of their figure line was amazing and was the equal to anything else I have seen. The thumbnail is 9k and is 80 pixels high by 107 pixels wide. The full image is 56k and is 405 pixels high by 540 pixels wide. 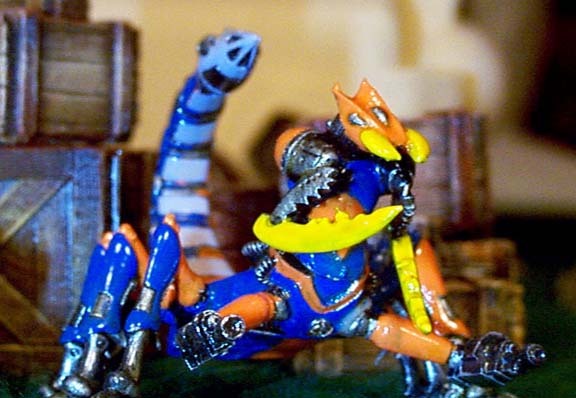 A Global Games figure produced as part of their Legions of Steel line. It is another awesome figure that stands nearly 6 inches tall on the table. The thumbnail is 9k and is 80 pixels high by 106 pixels wide. The full image is 57k and is 435 pixels high by 576 pixels wide. 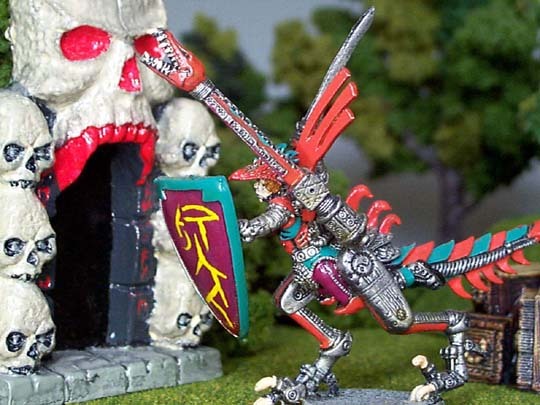 Another image showing the assault fiend (the figure shown above). The thumbnail is 9k and is 80 pixels high by 101 pixels wide. The full image is 57k and is 455 pixels high by 576 pixels wide. 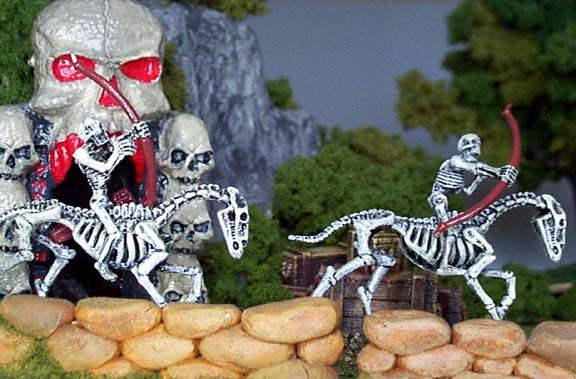 These skeletons come from the Games Workshop line of plastic figures. The thumbnail is 9k and is 80 pixels high by 120 pixels wide. The full image is 53k and is 379 pixels high by 576 pixels wide. 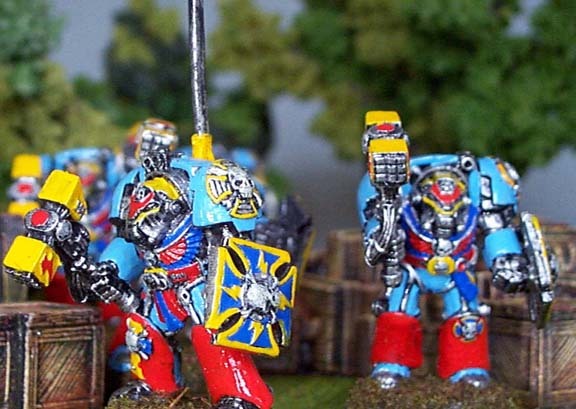 These terminators come from the Games Workshop line of metal figures. The thumbnail is 10k and is 80 pixels high by 113 pixels wide. The full image is 55k and is 409 pixels high by 576 pixels wide. 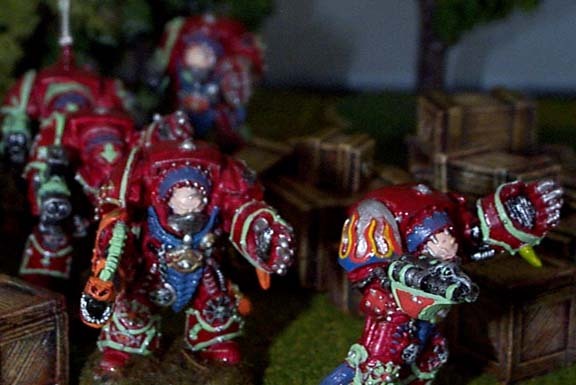 These terminators come from the Games Workshop line of metal figures. The thumbnail is 8k and is 80 pixels high by 107 pixels wide. The full image is 48k and is 432 pixels high by 576 pixels wide. 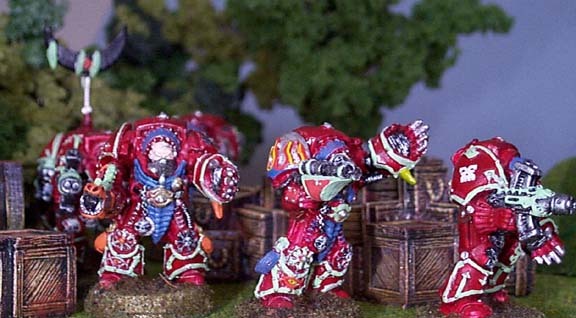 These figures are an older set of terminators produced by Games Workshop. The thumbnail is 8k and is 80 pixels high by 120 pixels wide. The full image is 41k and is 385 pixels high by 576 pixels wide. 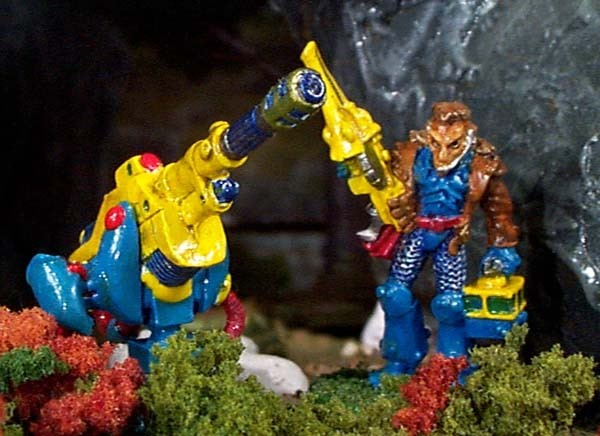 These figures are an older set of terminators produced by Games Workshop. The thumbnail is 10k and is 80 pixels high by 145 pixels wide. The full image is 48k and is 318 pixels high by 576 pixels wide. 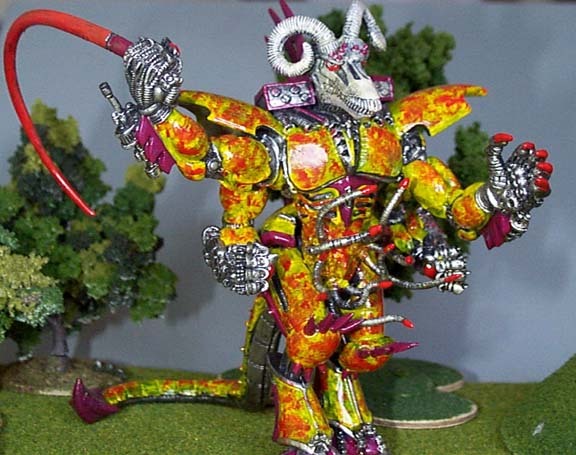 This is one of the Demon Figures produced by Games Workshop. The thumbnail is 9k and is 80 pixels high by 107 pixels wide. The full image is 59k and is 429 pixels high by 576 pixels wide. This is a great Banshee Games Workshop figure painted by my wife. The full image is 55k and 428 wide by 600 high. 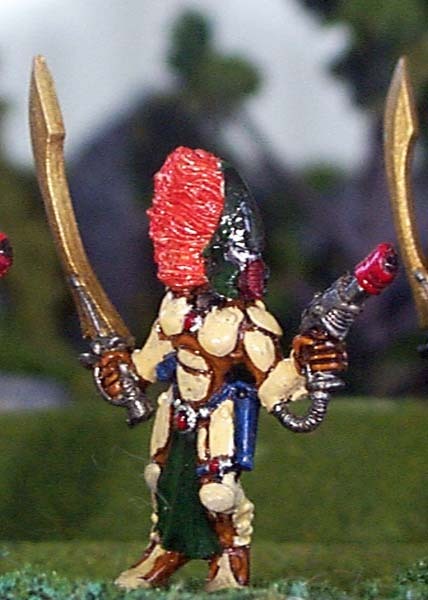 This Games Workshop figure was also painted by my wife. 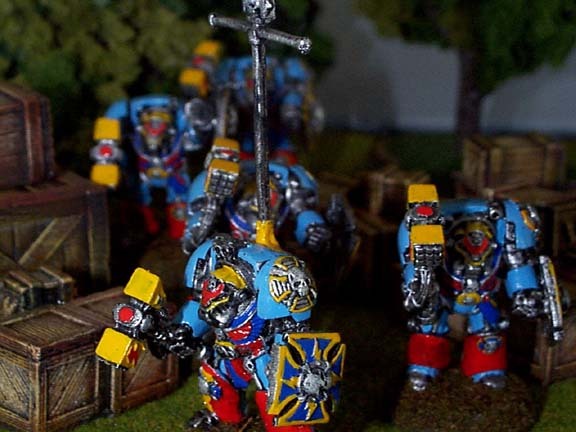 It is an Eldar Support platform. It would normally have two crew but is only shown with one. The full image is 54k and 436 high by 600 wide. 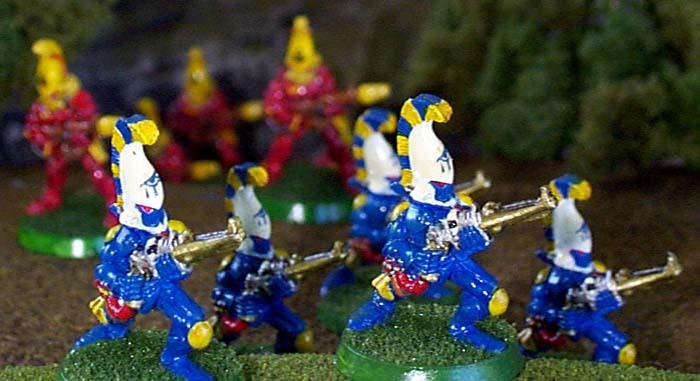 This Eldar squad from Games Workshop was also painted by Susan. The full image is 51k and 381 high by 700 wide. It is a great set of figures.